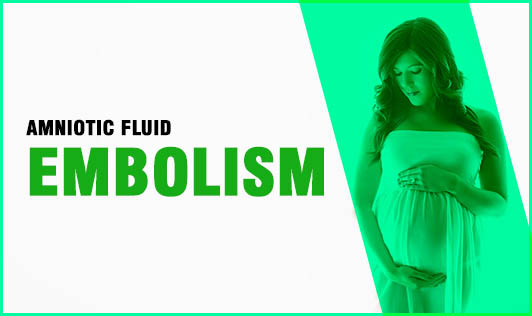 Amniotic fluid embolism is a pregnancy complication that causes life-threatening conditions such as heart failure. This condition can affect the mother and the baby. It occurs when amniotic fluid- the fluid that surrounds the baby in the uterus or fetal material such as hair enters the maternal bloodstream. Amniotic fluid embolisms are rare and it's likely that some amniotic fluid commonly enters the maternal bloodstream during delivery without causing problems. It's not quite clear why in some cases this leads to an amniotic fluid embolism. This condition cannot be prevented and doctors find it hard to predict if and when it will occur. If you have had AFE and you are trying to have another baby, talk to your doctor and discuss the risks of pregnancy beforehand.